In the middle of a hurricane there is a resting point. Go away from its center, so one finds himself in a stormy area with wind, rain, and chaos. Two persons leave their place of residence due to a hurricane. They only can take one suitcase each. What can they expect on the run? And what exactly is a hurricane? 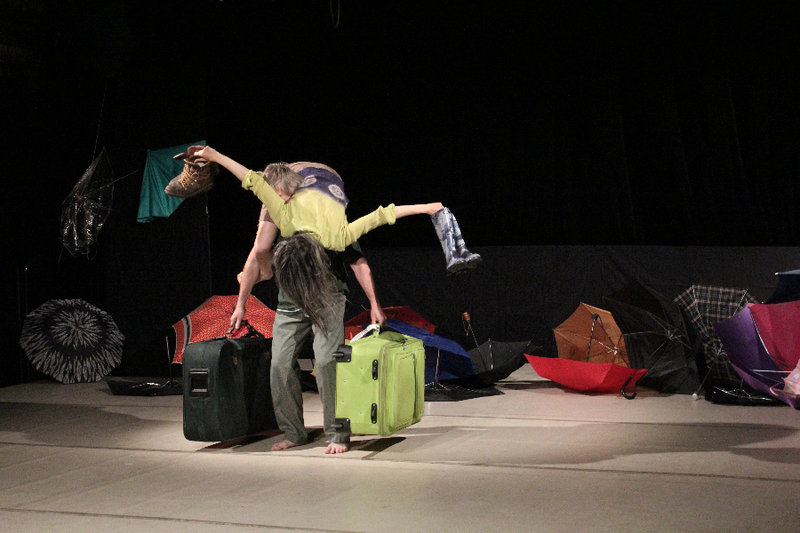 This dance theatre piece is suitable for every audience and shows many situations in and with a hurricane. Be surprised by this lively dance performance!